Thank you for being a loyal jmcremps.com customer! We are no longer accepting online orders. and focus our efforts at providing an exceptional in-store experience at our JM Cremp's Mall of America Store. 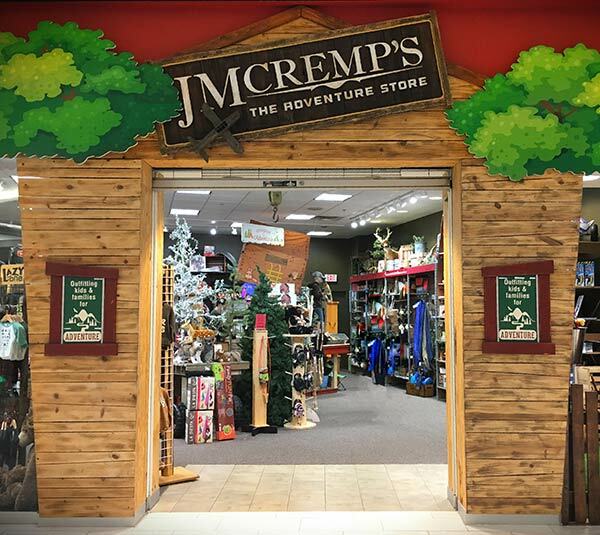 The JM Cremp's Adventure Store is a place that your family can rely on to find wholesome family adventures, activities, books, and hobbies that are designed to bring families together–not just kill time and keep them busy without purpose. Part trip down memory lane, part adventure land, and part store; our themed store is a hit with kids ages 1 to 101. Stop by the Mall of America today to see the latest toys, games, and gear for the entire family. Items returned in resalable condition will gladly be accepted for return by 11-30-18. Items that are not in resalable condition (no tags, out of original packaging, etc.) will have a 30% restocking fee deducted from the refund.